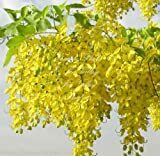 Cassia fistula seeds for sale – Easy plant to grow, grown for the ornamental flowers, planting in early spring to summer, start from seeds it’s easy but better to buy plant. Cassia fistula seeds for sale – What need to know before buying seeds of Cassia fistula? 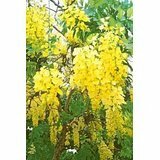 Is it recommended to buy Cassia fistula seeds or better to buy plant? Before buying cassia fistula seeds needs to know that it’s the spring it’s the best season to saw can soak the seeds little bit before planting them need to cover them, keep the soil moist and well drained, except this it’s easy tree to grow mostly use for ornamental reason. Cassia fistula best start with plant just because it’s easier but it easy to grow from seeds they require small amount of care and just grow.